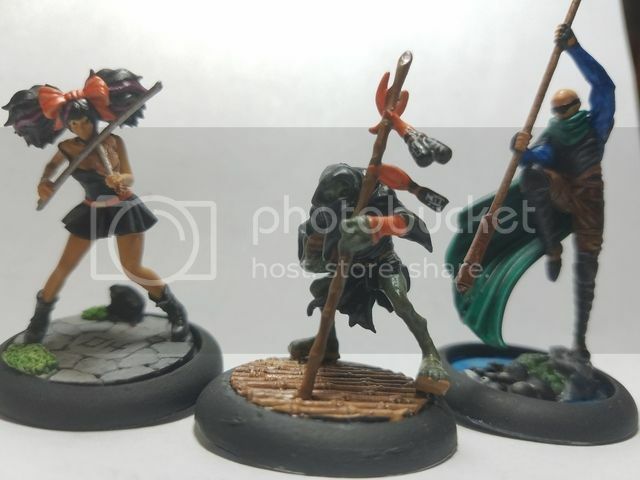 Here is the start of my crew for the league. 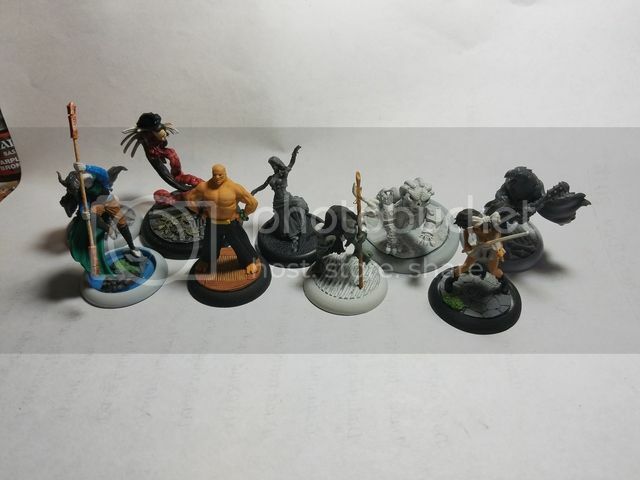 Models not included yet because I dont own them are : 2 fermented river monks, Tannen, shadow emissary. That gives me 8 models to paint and several to complete painting over the course of the league. Finished up the 3 models that had been started a while back. Now they just need dull coat. Hoping to get the remaining models assembled tonight. 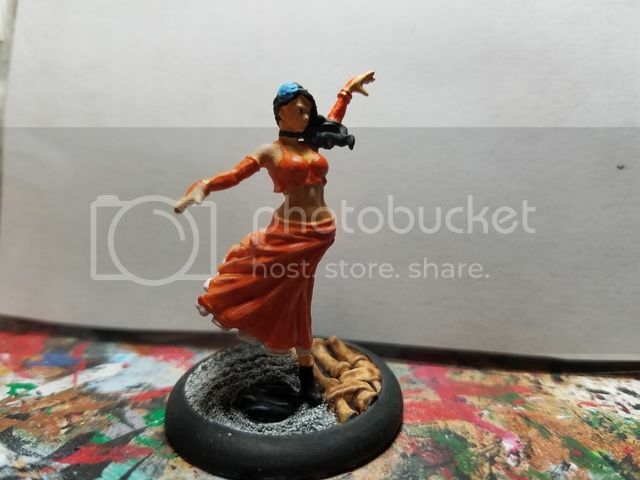 Painted up a performer today. She didnt photograph well, but Im pretty happy with the result. 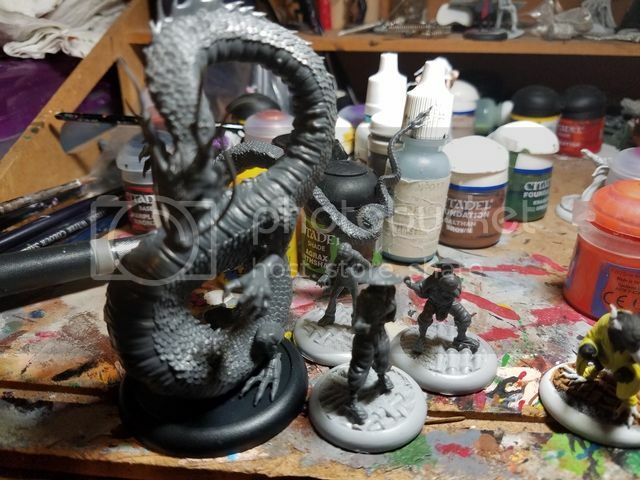 Also assembled Tannen, jorogumo and obsidian oni. Got the final members of my crew assembled today. 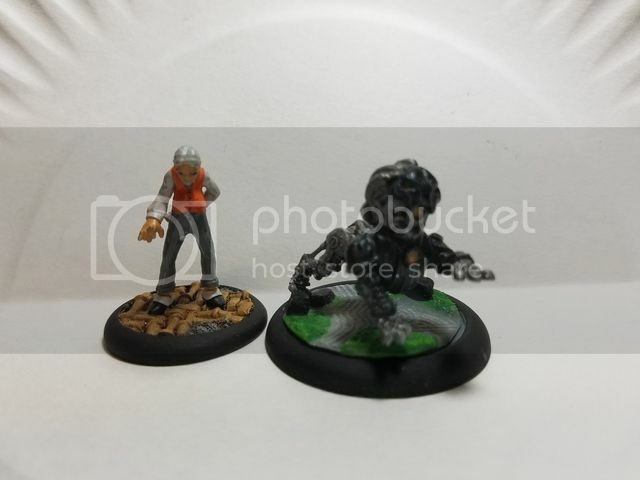 2 drunk monks, mr. Tannen and Shadow emissary. Also assembled a sniper, 2 more jorogumo and 3 obsidian oni. Finished the sly guy himself Mr. Tannen and a komainu this morning. Hoping to get the two monks and the emissary done this week.